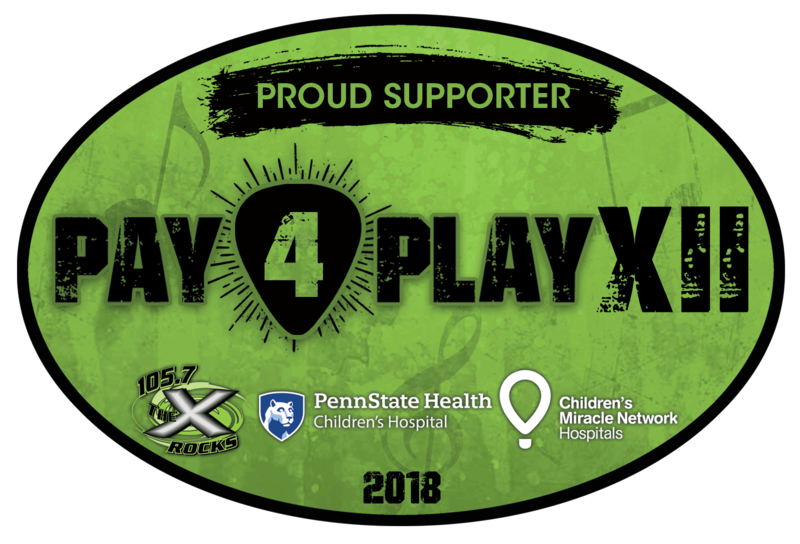 Pay 4 Play is a 28 hour radio marathon hosted by Nipsey, Jennifer Shade and Earl David Reed from the People’s Morning Show to raise money for the Children’s Miracle Network at Penn State Hershey Children’s Hospital. 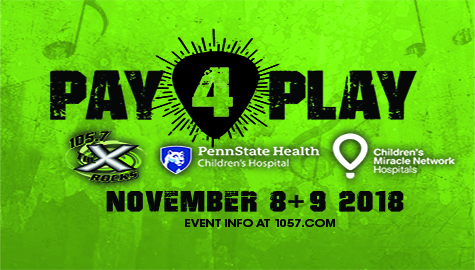 The Pay 4 Play will begin at 5:00 am on Thursday, November 8 and continue until 9:00 am the following day. 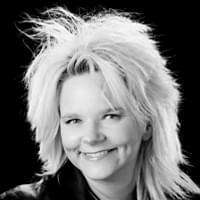 During that time, listeners can call in to 1-800-332-1057 and request songs in exchange for donations. 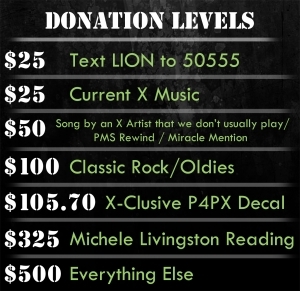 The further the song is from our Active Rock Radio format, the higher the donation must be to hear that song on the radio. 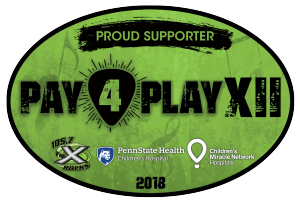 Donors who give $105.70+ will receive a #Pay4PlayX decal to display on your car, at work, on your laptop, etc. Give a little. Help a lot! Your gift, no matter the amount, will help children and families in need at Penn State Children’s Hospital. 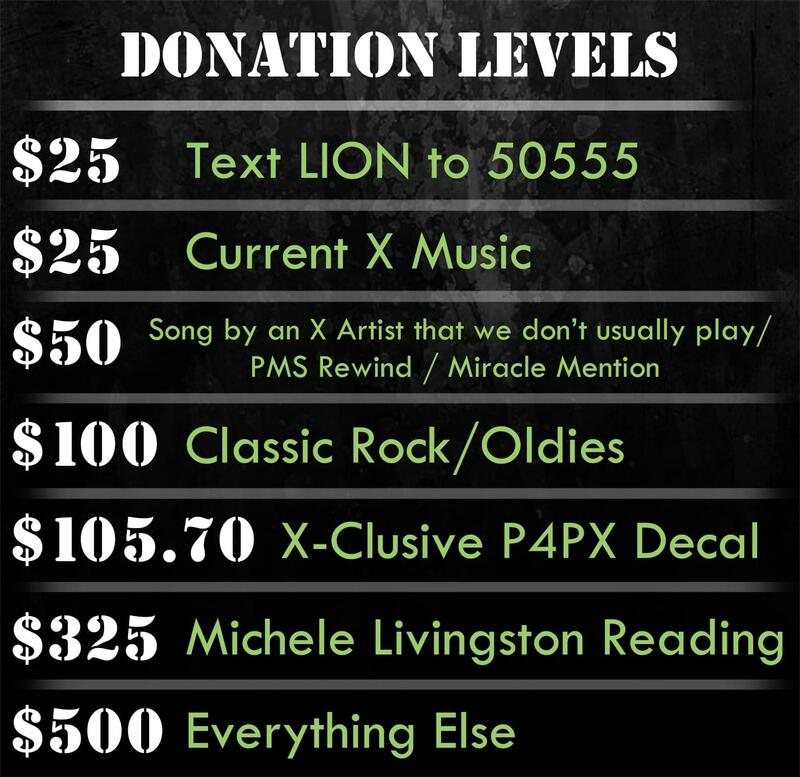 Make a donation to Pay 4 Play X to help us fill our shopping cart with the items below. Don’t be nervous by the most expensive items! We’ll buy it together, and every dollar helps. Thank you!